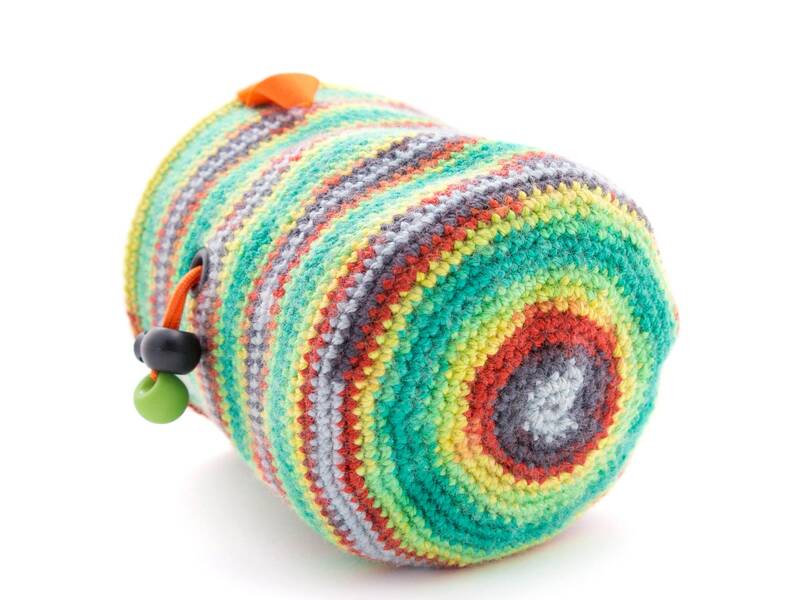 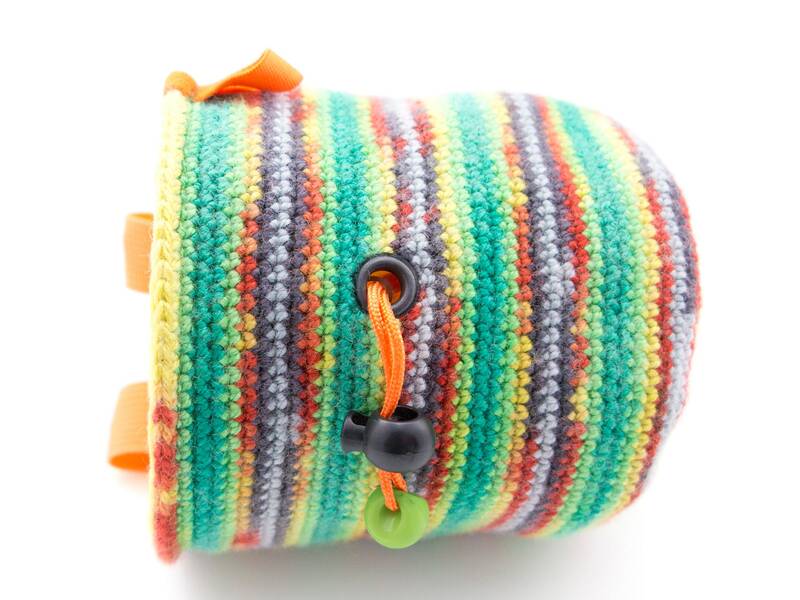 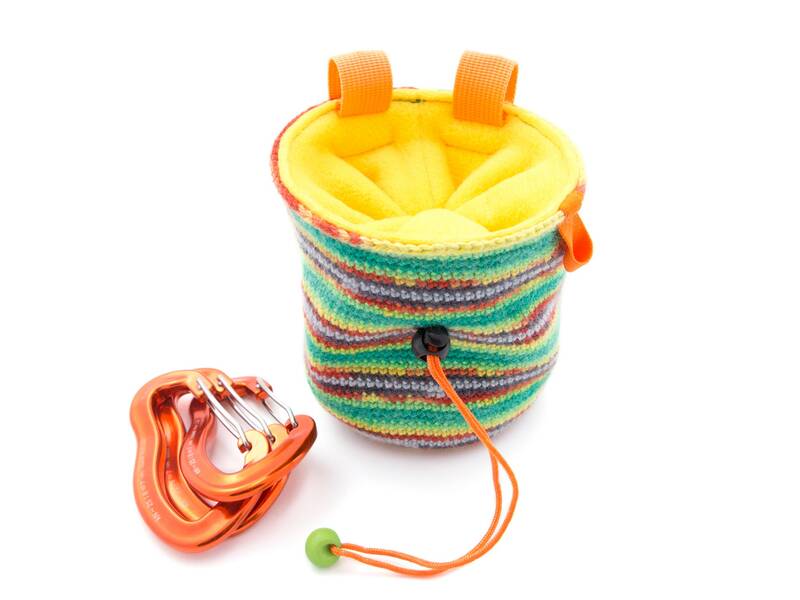 Unique sport climbing chalk bag handmade as funky climbing chalk purse knitted of yarn. 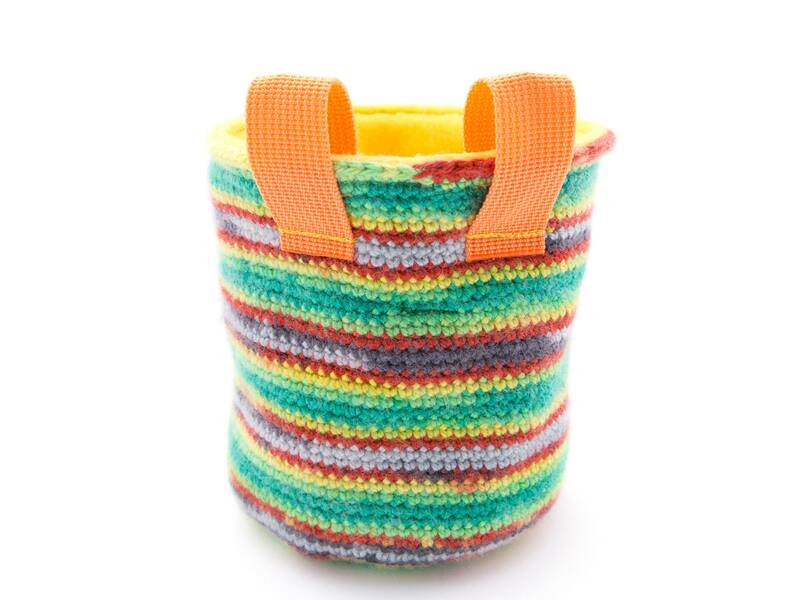 Every rock climbing girl, boy, men or woman will love it, once he / she try it. 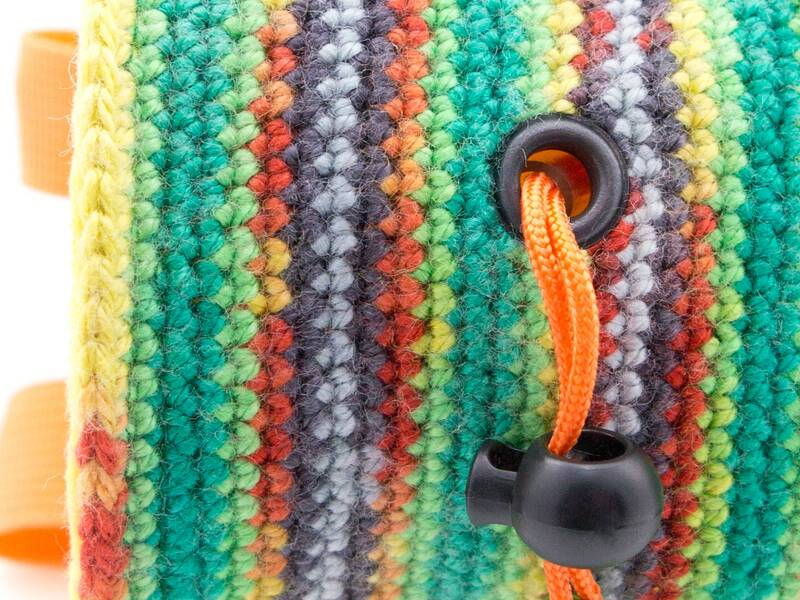 * 2 attaching belt loops in orange, and a wooden green bead. 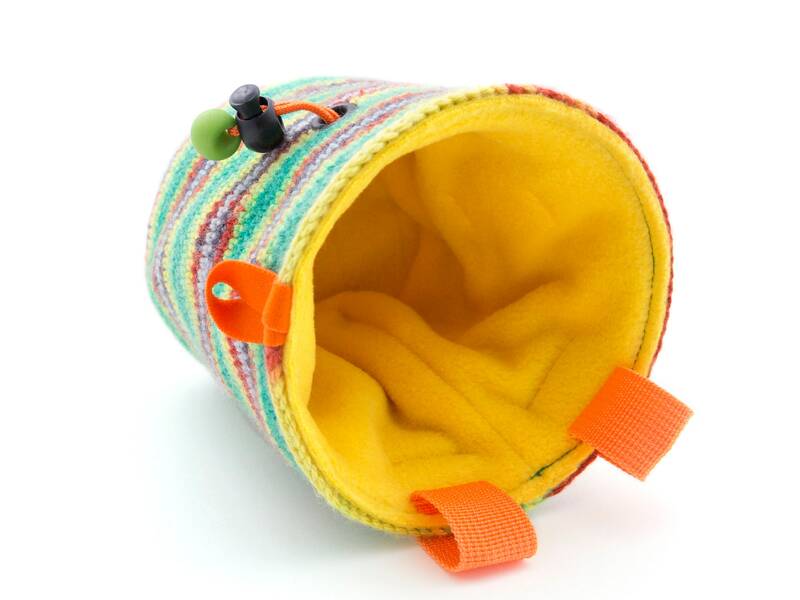 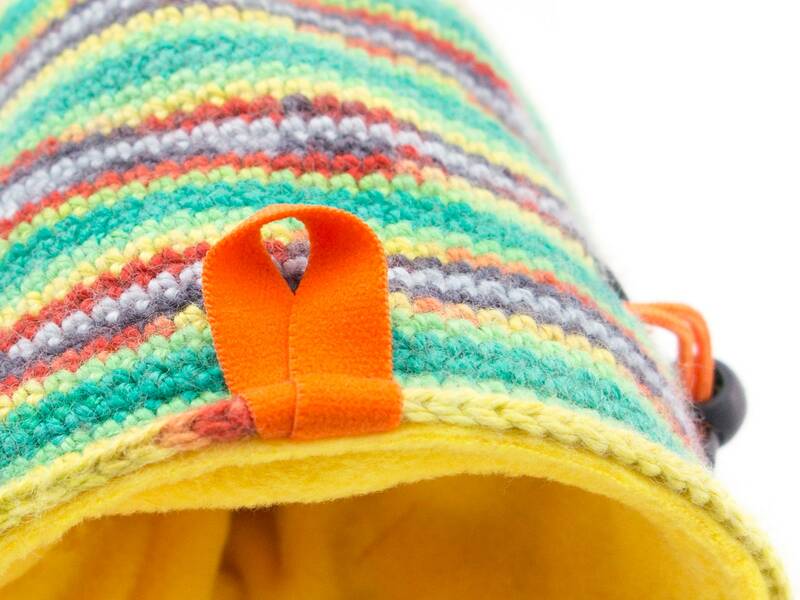 * the inner layer is handmade of yellow fleece, and a membrane layer under it. 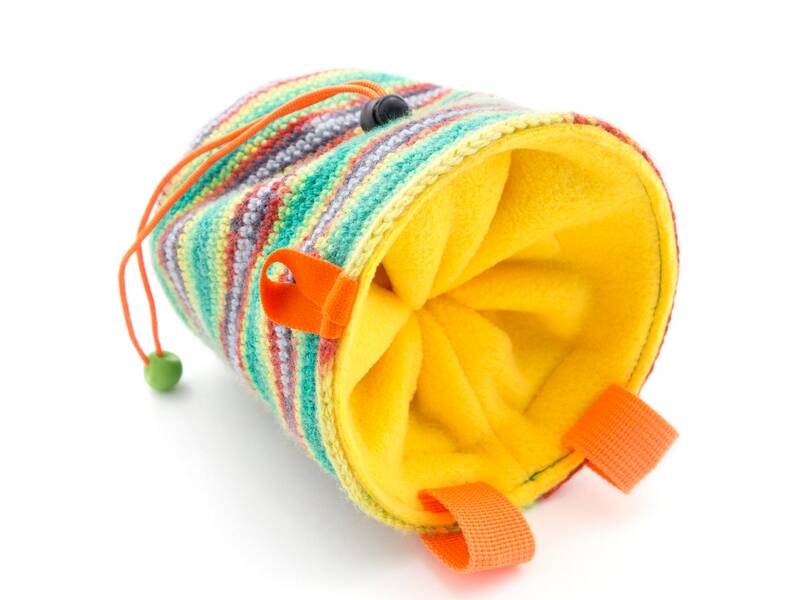 * supplied with en elastic brush holder. 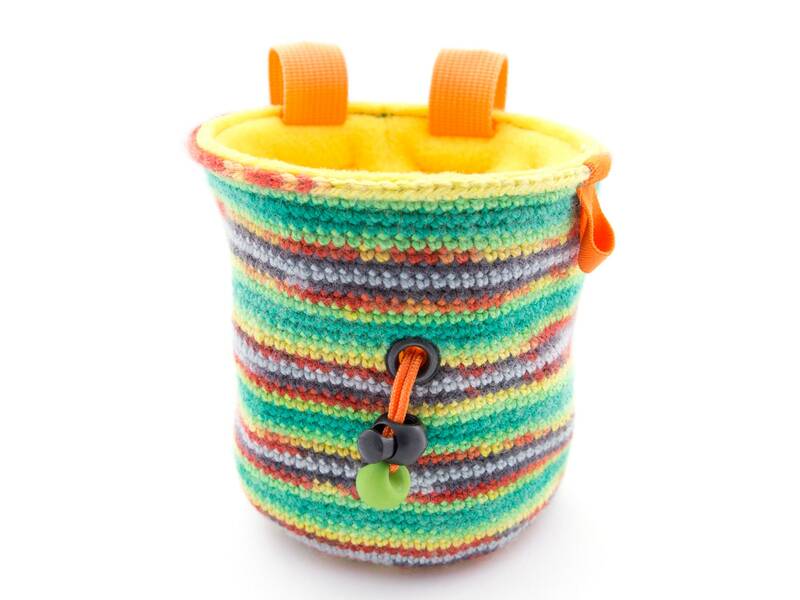 This funky sport climbing chalk bag (purse in cylinder shape) closes very well with a paracord lanyard. 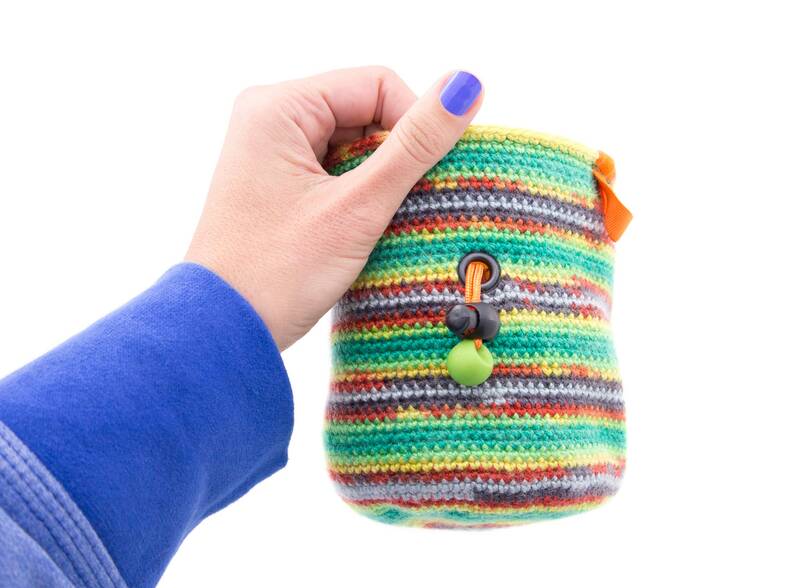 * 108 grams (3.80 oz).